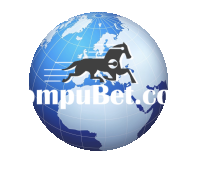 We will be posting a CompuBet Report each day¹ (sometimes harness, sometimes thoroughbred) for our fans, members, and visitors to submit hypothetical wagers, where the winner each day will win a credit to their CompuBet wager account. Follow us on Facebook or Twitter, and look for the CompuBet Ratings Report for the current day. There may be a link to a GOOGLE Doc, where you will actually make your entry. Instructions are provided on that document, and we remind you to make a copy (use snipping tool is the easiest way) and post the image or a text message below our FB contest post to ensure your entry is recorded in case something happens to the online document. The wagers should total $20. Wagers less than $20 will be accepted, although that immediately puts your entry at a disadvantage. Wagers greater than $20 will be accepted, however only those wagers (listed in chronological order) totaling $20 or less (partial wagers, other than WIN wagers, bringing the total over $20 will not be counted) will be considered. In case of a scratched horse, any imaginary wagers including that horse will be treated as a losing wager. Each day we will calculate the imaginary winnings for each contestant, and determine the winning entry. The winning entry will be the one with the highest imaginary pari-mutuel value. If there are no winnings, there will be no prize. If two or more entries are tied, the winner will be determined by the time stamp on the submitted entries. The winner will receive a $10 wager credit in his/her CompuBet Online Wager Account. Anyone can play but only entries by CB account holders will be considered for prizes. The daily “winnings” of each player will be added together to arrive at a weekly total, and the player with the largest aggregate total winnings will win the weekly prize. Weekly prizes will only be distributed to players with a CompuBet wager account, although CompuBet may its discretion provide access to our proprietary reports and applications. CompuBet reserves the right to exclude any player or reject an entry for any reason at its own discretion. ¹CompuBet reserves the right to discontinue the contest at any time. ¹While we hope this will become a daily contest, we do not guarantee there will be a contest report posted each and every day.